Advanced Moisture Sensing System - Three built-in sensors read incoming air temperature and outgoing air temperature while monitoring moisture levels inside the dryer. This helps the drying cycle end when everything is perfectly dry, saving time and energy and helping to prevent overdrying. The 7.4 cu. 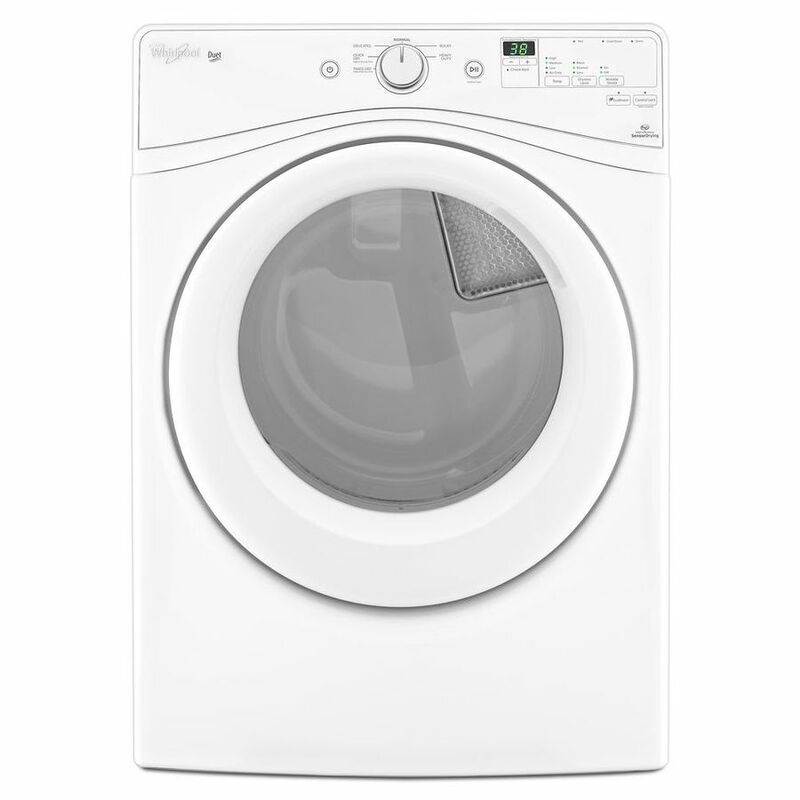 ft. capacity dryer offers enough space to care for loads from the Duet washer with ease. You'll even be able to dry bulky items like comforters and sleeping bags. The EcoBoost option saves energy by using less heat and extending cycle time. You'll enjoy great drying performance while using less energy.